Fencing places physical barriers, usually wire, across large areas to keep animals in and “nuisance” animals out. 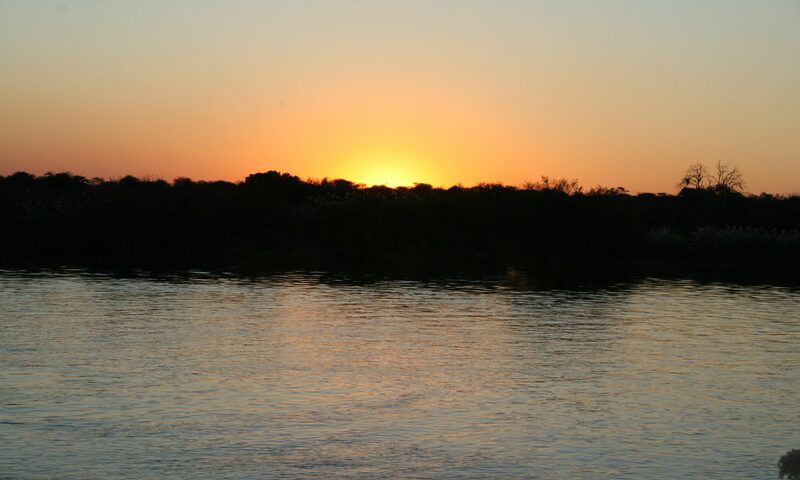 A number of protected areas in Africa are partially or completely fenced, and communities are evaluating the potential benefits. The basic logic of fencing sounds ideal, but many conservationists differ in their range of support. Over the past decade, fencing has become a useful conservation tool in the management of wildlife, particularly management involving endangered species. Some biologists believe it is the only viable option left for the conservation of African species. They argue that fence is a necessity for species reintroductions, because it allows a population to grow in the absence of specific threats. Fencing limits the spread of disease between wildlife and domestic livestock. Further, it vastly reduces human-wildlife conflict and creates obstacles for poachers. 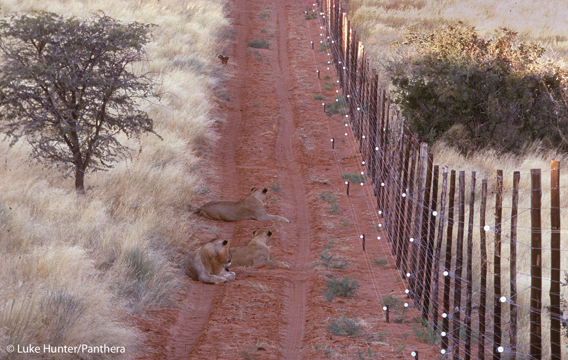 According to a 2012 report, The Ecological, Social and Financial Issues Related to Fencing, fencing can enhance the conservation of wide-ranging predators in habitat patches that would otherwise cause local extinction. In South Africa, for example, species such as wild dogs, cheetahs and lions have been successfully reintroduced into a number of small, fenced reserves. However, the report also argues that fencing could cause as many problems as it solves. It states that fences may be to the disadvantage of certain species within protected areas. Fences create forced high densities of wildlife and cause unnaturally high competition for resources with other wild species within the fenced area. 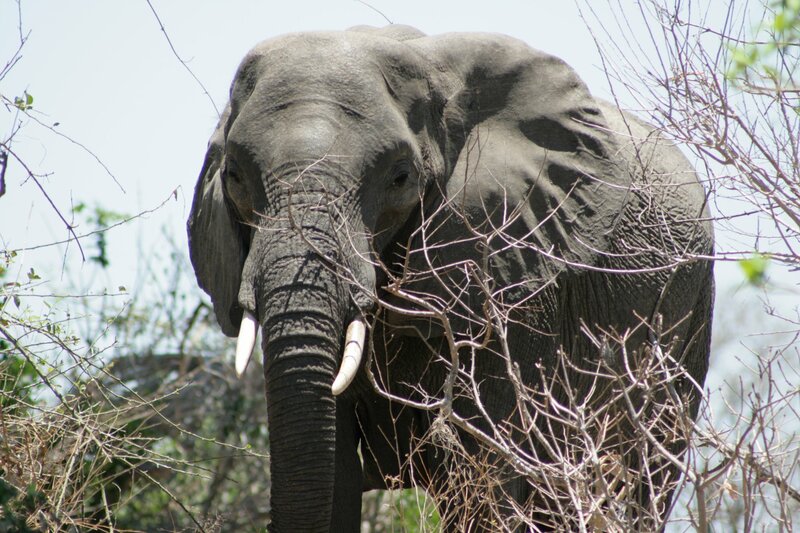 In addition, fencing wire can be used by poachers for snares that indiscriminately kill wildlife. Nay-Sayers believe that fencing gives predators an unfair advantage over prey. Predators are learning to corner their prey using the fences as helpful barriers, which could lead to sharp declines in prey populations. In addition, some worry that fences will increase fragmentation and severely impact the behaviors of migrating species. Those against also say that when fencing disrupts migratory corridors and isolates wildlife populations from other populations, connectivity is lost. Immigration and emigration of fenced populations is controlled by humans and may influence the natural progression and breeding behaviors of individuals. The selection of genes in the fenced population may not reflect what nature would select. As a result, fences can create genetic islands that no longer interact with the wild gene pool. And then there is disease. If the fenced populations are maintained at high densities, they will experience density dependent effects and be susceptible to disease. Furthermore, financial costs of building and maintaining fences are extremely expensive; building costs range from $5,000 to $7,000 per kilometer and maintenance costs around $32,000 annually. As it turns out, there are many arguments on both sides of the fence. Pun intended. While fences may not be ideal for a primary conservation tool, it may be very useful for ensuring the recovery of endangered species. If erected, fence should be cautious of migratory pathways and permit non-target animals to move underneath. Conservation planners should consider all ecological impacts when investing in fencing systems and ensure that science and not social comfort is at the foundation of the decision.